You’re finally ready for your first jump, but are you ready for your close-up? We get a lot of questions about what to do with long hair or beards when skydiving. Every suggestion in skydiving has a purpose, and this time we are not only concerned for your safety, but for the after-effects of flying at 120 miles per hour! Take the time to read the skydiving FAQ page for your dropzone and see if there are any posted rules about long hair or beards. You may also want to check the age, weight, and clothing rules while you are on the page. Just remember it is best to have all the extra accouterments you might need rather than find yourself lacking for comfort and ease. Making sure your hair is not only tied back but pinned into submission will result in fewer tangles and an appreciative tandem instructor. A long beard is going to get some serious blow out in free fall. You may want to bring a comb and your favorite grooming aides to calm the floof. If you have long hair, you definitely want to bind it tight to keep it out of the way of harness straps and other equipment. Braids are the best first step in controlling your hair. Pinning those braids as close to your head as possible will protect you from hours of detangling when you get back to the ground. A loose ponytail will be a slap in the face for your tandem instructor, so be kind and use those bobby pins or clips to get a grip on your locks! If you have a big beard, it may be wise to gather it into a hair elastic or three to keep it free of your harness straps and out of your way. The speed of free fall is going to blast your beard, and you will be glad you made an effort to tame that beast. Take a look at the freefall photos that people share on Social Media. The first thing you notice is the huge smiles! The second thing you might see is out of control hair and some faces hidden behind beards. 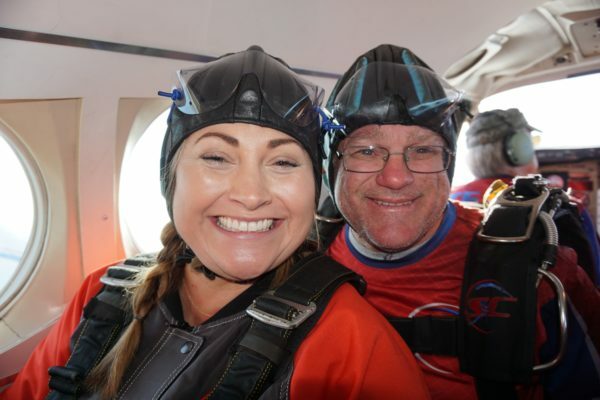 If you are paying for a video and photo package to capture this once-in-a-lifetime first skydive, you will be glad you made an effort to put your best face forward! Pinning back your hair or beard will show your grin in full glory and offer you an unobstructed view of the world from up there. When you get back on the ground, a quick touch up with your comb or brush will leave you close-up ready for all those selfies and celebrations. 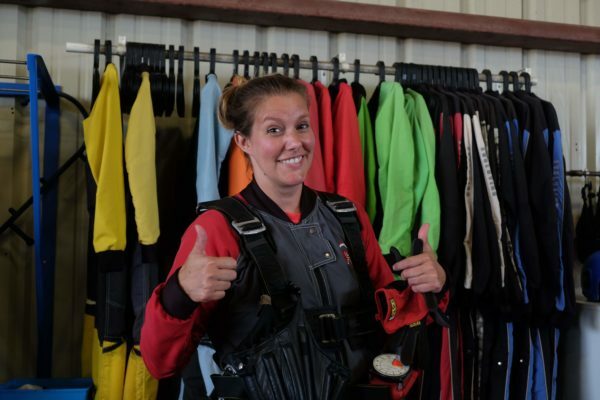 You may have a bit of stress about your first skydive, and we want to help you to relax and feel safe and secure. Just a few minutes of prep can take the worry out of the details and give you the best possible video and clear views while you are flying free. If you have any questions don’t hesitate to contact us today! Related Article: Can You Wear Contacts Skydiving?